Experience in field thermal transfer ribbons converting for more that 15 years, allows our company to meet the suitable ribbon quality for all type of printers, depending on the material to be printed. We offer ribbons for printing on mat or glossy paper, film, cardboard or textile. We slit ribbons in all widths and lengths, in all standard and specifically cores, in big or small quantities. 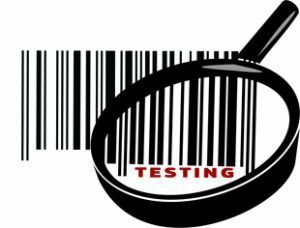 Testing off all aspects of the print solutions (printer, ribbon, label stock, environmental conditions) to recommend the optimum combination to achieve the highest print quality. 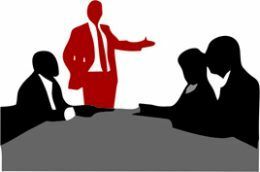 Technical training for distributors to aid their recommendation of the optimum solutions. Our Individual service pocket is oriented to customer needs. We can create your own ribbon design and marking, we can slit non standard ribbon lengths and widths, we can pack the ribbons depend of your request. Saving your time and money with uor Flex Ship service programe. 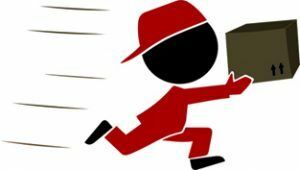 We can ship the order directly to your customer and reduce the time it takes for your customers to receive goods. 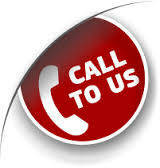 Call us and consult about your own “Flex Mark” and “Flex Ship” programs. What’s the difference in thermal transfer ribbons? WAX Ribbons. The least expensive of all thermal transfer ribbons. Wax ribbons have a high percentage of wax based substance in the colorant. Since waxes have lower melting points than resin substances, printing can be done at lower heat settings or energy levels. As waxes are softer image durability is less against smudge, scratch, chemical and environmental resistance. Wax ribbon is usually used for printing on mat or semi-glass paper material where economic solution is preferred, but no requirements for print durability are raised. WAX RESIN Ribbons. Wax/Resin ribbons are a combination of wax and resin based colorant substances in which resin substances hold a greater percentage. Resin substances have a higher melting point thus increasing the melting point of the ribbon. As resins are harder then waxes image durability, chemical resistance and abrasion smudge scratch resistance is more that that of wax ribbon. Wax/resin ribbons can be used with glossy or smooth surfaces, synthetic materials. Wax/resin ribbons are slightly expensive than wax ribbons. RESIN Ribbons. Resin ribbons contain the highest percentage of resin materials. Printing with resin ribbons is done at high energy levels or heat settings as resins have a high melting point. Low print speed can be achieved due to the high energy levels required for printing. But the resultant printing images bear a very high resistance to chemicals, heat, abrasion resistance and other environmental conditions. 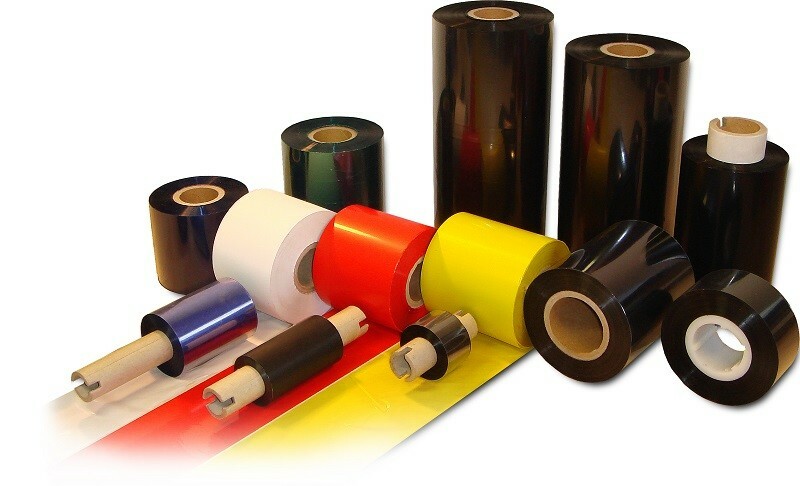 Resin ribbons are best suited for use with textile apparel or garment labels like (taffeta/satin), high gloss coated materials like polyesters, polyolefin, destructible vinyl, warranty void labels, labels which are to be exposed to harsh environments like chemical drum labels, medical and pharmaceutical labeling, as well as industrial and automotive applications. Resin ribbons are the most expensive of thermal transfer ribbons. Very popular is in line coding method for packing lines. It is used to print expiration dates, production codes, product compositions and batch numbers on various packing. In line printers are integrated into various packing and processing line machines: vertical and horizontal bag formation lines, label sticking machines, package closing and box marking equipment. Thermal transfer ribbons are specially made for in line coding printers such as: Markem Smartdate, ICE/VIDEOJET/DATAFLEX, Opendate, Easyprint, Autobag, ITW Betaprint, Allen Coding and many others. These ribbons are designed for high printing speeds and enable to achieve perfect print quality even under difficult environment conditions: moisture and low temperature. We offer the whole range of other color ribbons, beside the black ones, from regular red or blue till metallic gold. 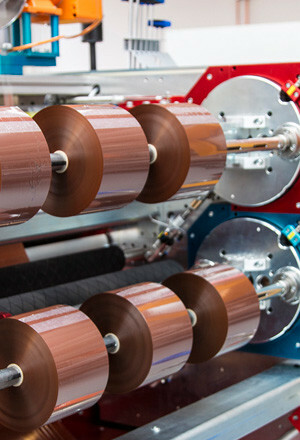 If you need more information about the thermal transfer ribbons kinds, applications, and compliance with specific requirements – please contact us.